This entry was posted in #review, #rrbc, Books, Castles, Germany, Guest Blogger, Höchstadt a. d. Aisch, Heaven's Pond, History, Nürnberg, RRBC, The Soldier's Return, Writing on January 12, 2019 by lauralibricz. What comes to your mind when someone mentions the 8th century? Could it be the introduction of the triangle harp by the Picts in Scotland? Or maybe the reign of Charlemagne, King of the Franks. Or the popular epic poem Beowulf, which could be as old as the 8th Century? Or marauding Vikings invading the coasts of Europe? Or of the Bendedictine nun and English missionary to the Frankish Empire Walburga, later to be canonized on May 1, 870, one hundred years after her death? St. Walburga was born in Devonshire in 710. She was raised in a Benedictine Abbey during the time her father and brothers travelled as pilgrims to far-away holy lands. After twenty-six years in the abbey, she joined her brother St. Boniface in Germany to help with his missionary work there. This entry was posted in Bamberg, Castles, Germany, Höchstadt a. d. Aisch, History, Writing on April 30, 2018 by lauralibricz. “Characters: Main characters include Katarina, Ralf, Pieter van Diermen. With some characters I couldn’t tell if they were main or secondary, but I think those three are main characters. Katarina is a maid as well as a lover to Sebald Tucher. She seems to be in charge of everything and is more of a mistress. She also wants to take all the burdens on herself at the cost of friendships and relationships. Katarina is intelligent, resourceful but she tends to keep her heart guarded up, especially towards her surrogate daughter Isabeau. Ralf is the villain of the book who seems to be delusional and who sees evil everywhere. He is also a Catholic priest who feels faith is more important than anything else. (He also literally sees women who use herbs as witches because they don’t trust in god!) Pieter van Diermen is a difficult character for me to describe aside from the fact he has little to no taste in warfare and just wants to leave the soldier’s life. Despite his personal feelings, he has already been damaged by the war and the things he had to see and participate in. “Theme: There is no glamour and glory in war. “Plot: The story is in third person narrative from multiple points of view; namely from Pieter van Diemen’s, Katarina’s, Isabeau’s and Ralf’s points of view. There is definitely a psychological aspect to the novel because its not desensitized and constant ugly things happen to characters. The author, I feel, seems to ask how much can the characters handle before they reach a breaking point? I know that reading and witnessing horror in the story that’s rarely unremitting but continuous can drive any reader to exhaustion and weariness. Please visit Svetlana’s Reads and Views for more historical fiction reviews! This entry was posted in #BHBW, #review, Bamberg, Books, Castles, Germany, Guest Blogger, Höchstadt a. d. Aisch, Heaven's Pond, History, The Soldier's Return, Writing on February 25, 2018 by lauralibricz. This entry was posted in #rrbc, Books, Castles, Germany, Guest Blogger, Höchstadt a. d. Aisch, Heaven's Pond, History, Nürnberg, The Soldier's Return, Writing on February 8, 2018 by lauralibricz. Readers’ Favorite announces the review of the Fiction – Historical book “The Soldier’s Return” by Laura Libricz. Reviewed By Arya Fomonyuy for Readers’ Favorite: After ten years, a young Dutchman, Pieter van Diemen, is returning to Amsterdam in chains, after being captured and imprisoned in the Spice Islands. But he can’t stay in Amsterdam. After his escape, the only place he hopes to find solace is Sichardtshof, a farm in Franconia, Germany. But after being away for ten years, will it still be the same and will he still find the hospitality and warmth of the patrician, Herr Tucher, and his maid, Katarina? Follow the protagonist during a period of turbulence, of conflict between Catholics and Protestants. It is against this backdrop that Pieter navigates through deadly traps and dangerous terrain to find refuge, but can he? 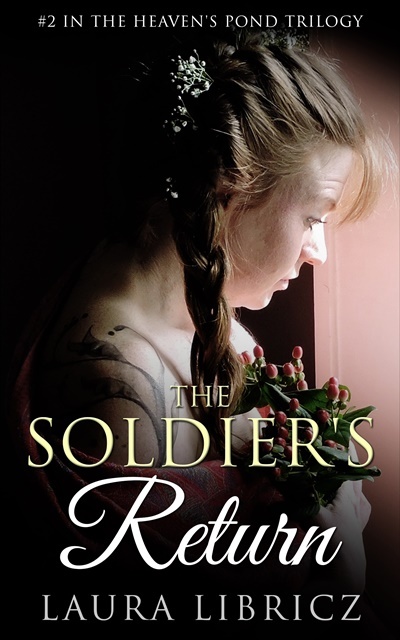 The Soldier’s Return by Laura Libricz is a powerful historical novel with a strong setting and memorable characters. The language is what first caught my attention: it is beautiful, at times poetic, and it unveils elements of the religious, historical, and cultural settings in intelligent and relevant ways. Apart from writing a gripping story, Laura Libricz has taken readers on a historic ride to relive the religious conflicts of the seventeen century, weaving into her narrative great social, religious, and political commentaries. I enjoyed the descriptive style of the narrative, the well-written dialogues, and the surprises and twists in the plot. The tone is unique and compelling, the conflict huge and masterfully handled. It is no wonder that The Soldier’s Return will appeal immensely to fans of historical novels with great settings and compelling characters. This entry was posted in #BHBW, Bamberg, Books, Castles, Germany, Höchstadt a. d. Aisch, Heaven's Pond, History, Nürnberg, The Soldier's Return, Writing and tagged #hfvbt on January 30, 2018 by lauralibricz.